What is ACSTH or ICF Approved Coach Specific Training Hours? The career of a coach is without a doubt one of the most fulfilling career choices in more ways than one. Firstly, it gives you immense satisfaction in helping people out and guiding them in the right path, be it in their professional space or personal space. On top of that, there is the opportunity of earning is virtually limitless. However, becoming a coach is not about giving random advices to people to make them feel good! It is about letting them realize their inner potential and get clarity on what they really want from their lives and much more! There is a definite way of dealing with the issues and challenges of a person. This is the reason why there are a number of certification courses so to bring about uniformity and consistency in the way coaches approach a situation. To realize the fullest potential of being a coach, then you must get certified by the ICF (International Coach Federation). The ICF has many certification courses, but today we are going to talk about one of its most popular pathway – ACTP pathway. What is the ACSTH Pathway? ACSTH is the acronym for Approved Coaching Specific Training Hours. Let us start by making one thing clear. 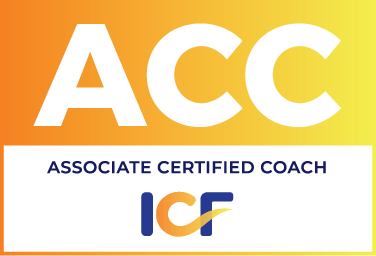 ACSTH is not a certification program for individual coaches but it is for the ICF accredited institutes and other bodies who wish to impart coaching training to people. There is another certification program for institutes called the Accredited Coach Training Program or ACTP. How does it Matter to You? If you are an individual looking to get certified by the ICF, then you might say ‘Okay, it’s for institutes who would be providing the training, but how does it affect me?’ Well, it does affect you. If your institute is ACSTH certified, then you can only apply for Associate Certified Coach (ACC) level not more than that. So, ACSTH is better than ACTP? Well, somewhere it is not especially for those who want to achieve PCC level of credentials. The two certification pathways are different in approach and requirements. Yes, there might be instances where ACTP programs might get a little bit of an advantage compared to ACSTH. If, you undergo ACC level from an ACSTH approved institute then you will be attempting final performance evaluation test conduct by ICF and then it will take another 14 weeks to review, however if you do the same from an ACTP approved institute you may get your credentials far more quickly than that. What are the requirements of ACC ACSTH? The applicant must complete at least 30 hours of coach specific training in the program. The training classes must include some classes on ICF Core Competencies and the ICF Code of Ethics. There is an exam as a part of the portfolio application. What is the Portfolio Method? When you talk about the ACSTH pathway, the word ‘Portfolio’ is mentioned. So, what exactly is the Portfolio method? In the portfolio method, a coach wanting certification will take 60 hours of Approved Coach Specific Training hours for an ACC (Associate Coach Certification) as part of their application which also includes 100 coaching experience hours, ten hours of work with a mentor coach, two letters of reference from qualified coaches, and an oral exam. What are the Advantages of ACSTH Pathway? Well, there are a number of advantages of the ACSTH pathway. In fact, some of the aspiring coaches prefer it to the ACTP program as well. Let us take a look at some of the biggest advantages of ACSTH pathway. Getting a certification is easier – Getting an ICF certification is easier with the ACTP program compared to ACSTH program. Sometimes, it takes estimated 14 weeks to get ACC certification under the ACSTH pathway. On the other hand, ACTP allows you to get your credentials more quickly. Credentialing Process – After completing the required training hours and meeting other requirements you have to apply to ICF to get your credentials. Taking your coaching skills to next level – You can continue your coaching journey from PCC to MCC (Master Certified Coach) within the same coaching institutes depending on their available master level courses. There are more advantages of the ACSTH program. If you want to know more about the advantages and the details of the ACSTH program, please click here to have more understanding. As a leading organization in the business, we are always happy to help you understand more about it and answer all your queries. So, getting in touch with our team professional will help you more than reading it online. How to Enroll Yourself for the Program? Well, it is really easy to get yourself enrolled in the ACSTH program. All you need to do is contact us and we will help you to take it further. We will help you choose the right option. We recommend that whichever course you take, or how many hours you have searched and gathered information for, no matter what, you should always talk a lot with the guys at the coaching training institute. This way you would find the right answers to your questions and also get other details that would help you to make the right decision. Once you enroll in an ACSTH program, you would need to ensure that you are meeting the requirements for getting certified as ACC or PCC or whatever program you wish to pursue. Most of the leading institutes would have their mentors who would tell you whether you are on the right track or not. If you aren’t, then they will tell you that and also the things that you need to do to bring things back on track. How to Choose the Best Institute? Well, the first thing that you need to do is the institute is ICF accredited or not. You can click here and enter the details or name of the training organization to check if it is ICF accredited or not. So, these were some of the most important information that you should know about ICF ACSTH certification. Get the best services from the top institutes and become an ICF certified and professional coach and make a rewarding career out of helping people. Why should you join ACSTH program? All inclusive course from training to final evaluation. Flexibility to apply for ACC or MCC, depending upon coaching experience.